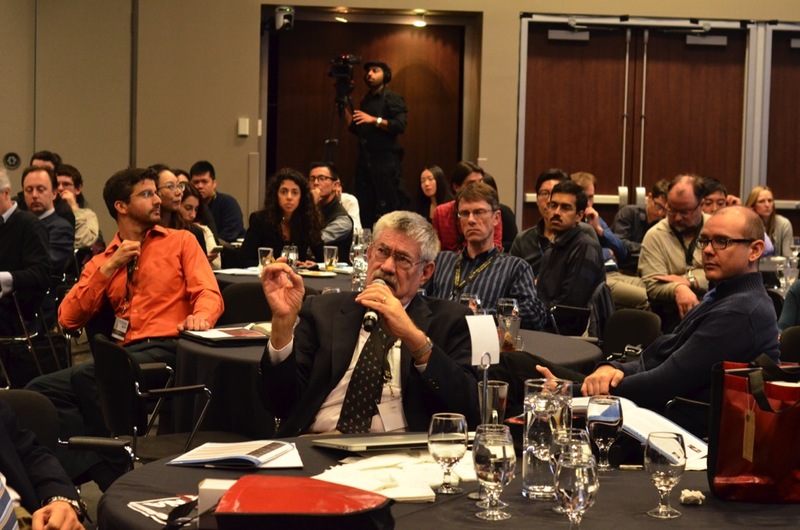 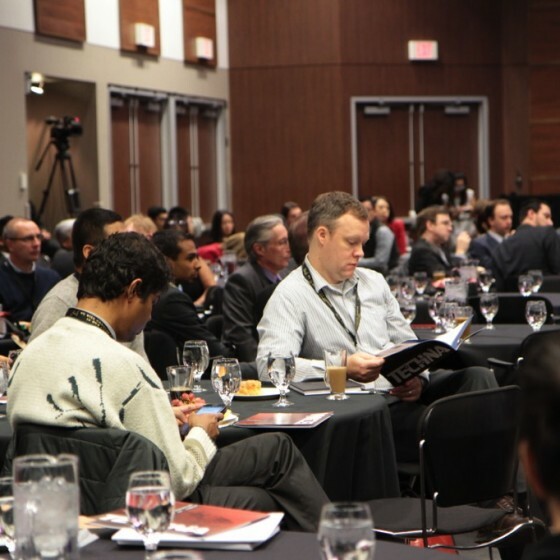 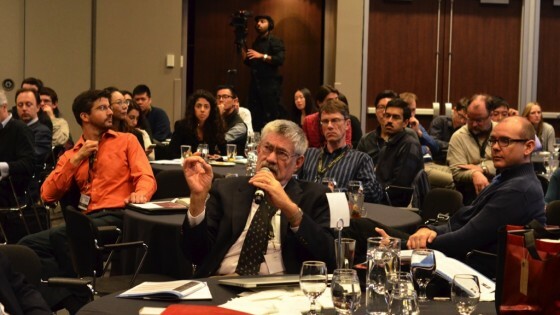 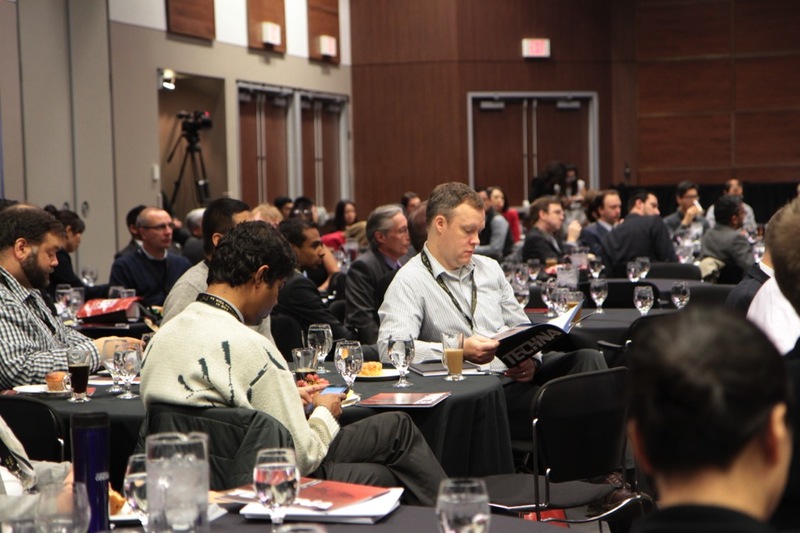 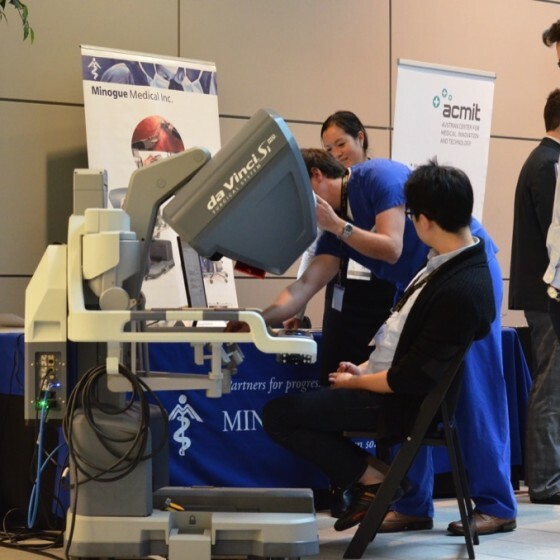 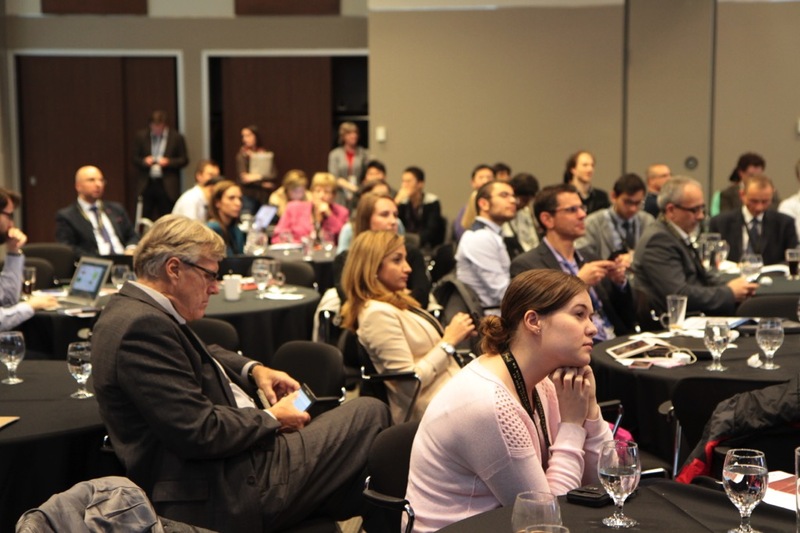 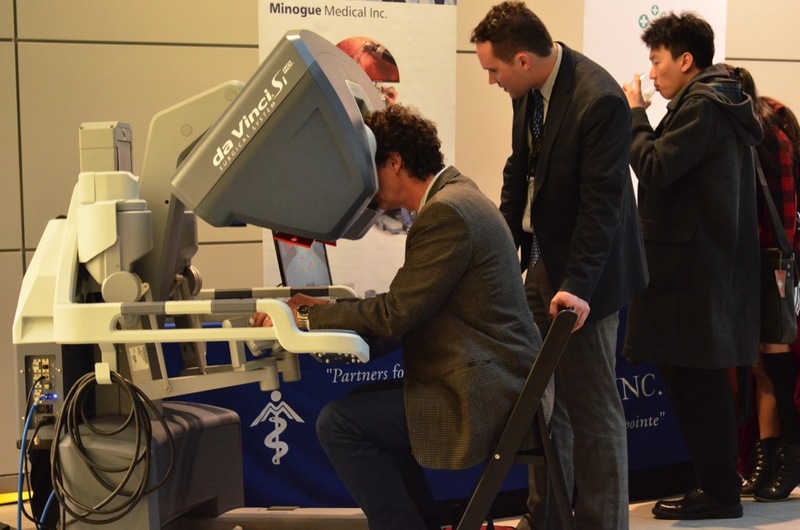 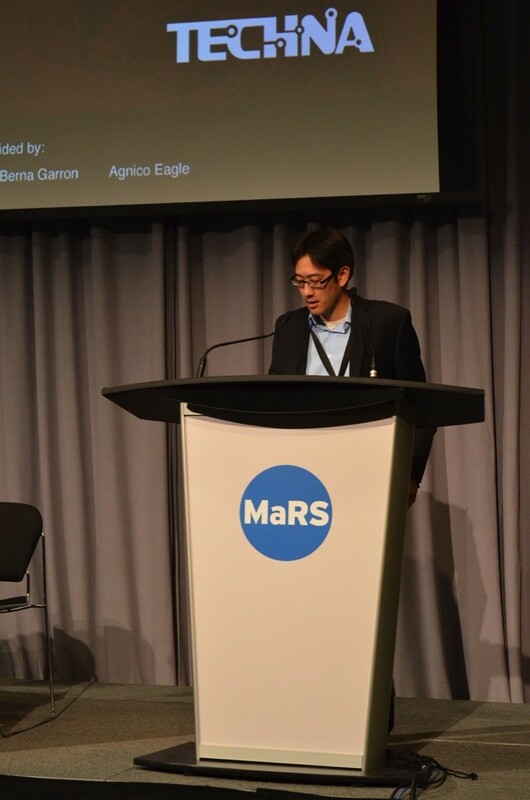 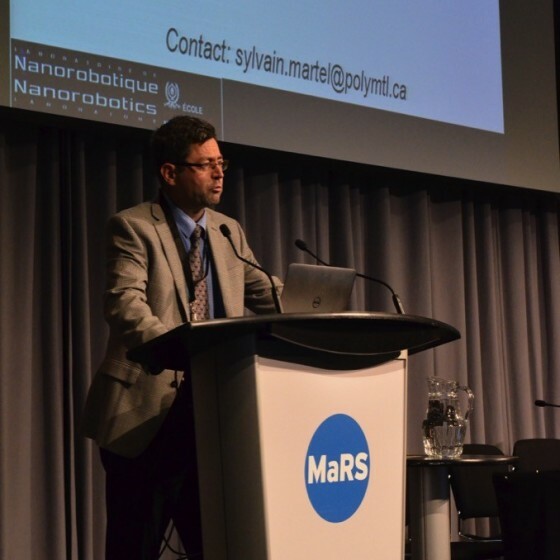 The Techna 2014 Symposium attracted the foremost experts in robotic technology and research to examine the role and application of robotics in health care. 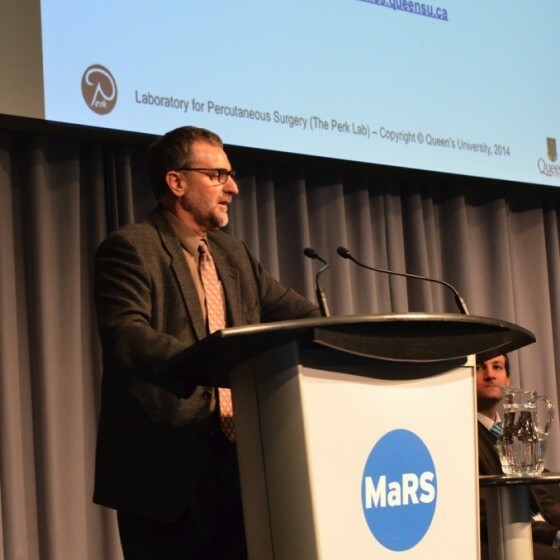 Robotics serves a multitude of purposes in health care, from amplifying the capabilities of surgeons to improving accuracy, analysis, and control in an array of clinical practices. 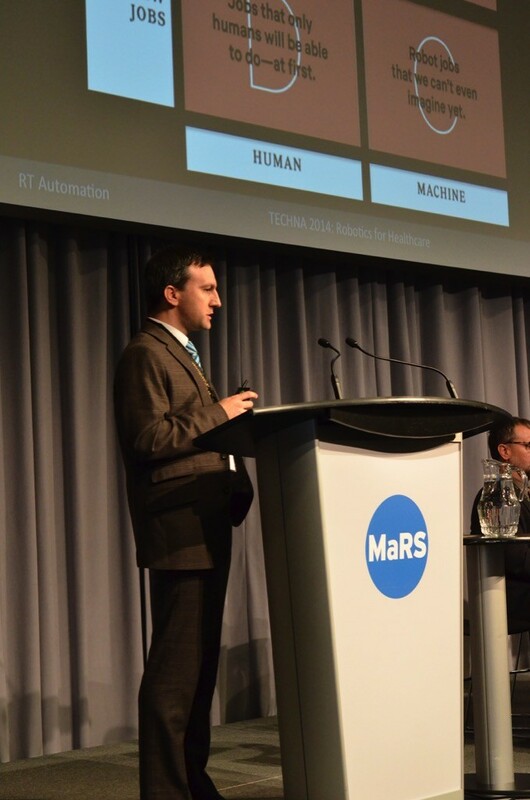 The discussions covered existing robotic technologies as well as innovations that continue to push the boundaries of capabilities. 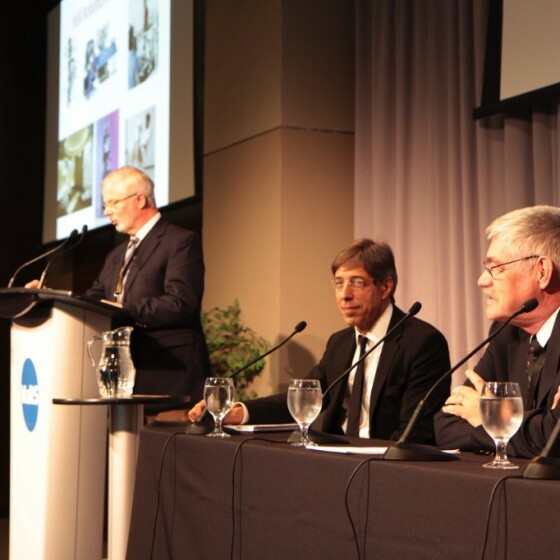 Collaboration is an essential part of developing and bringing new technologies into health care, as success requires the joint expertise of engineers, clinicians, and scientists. 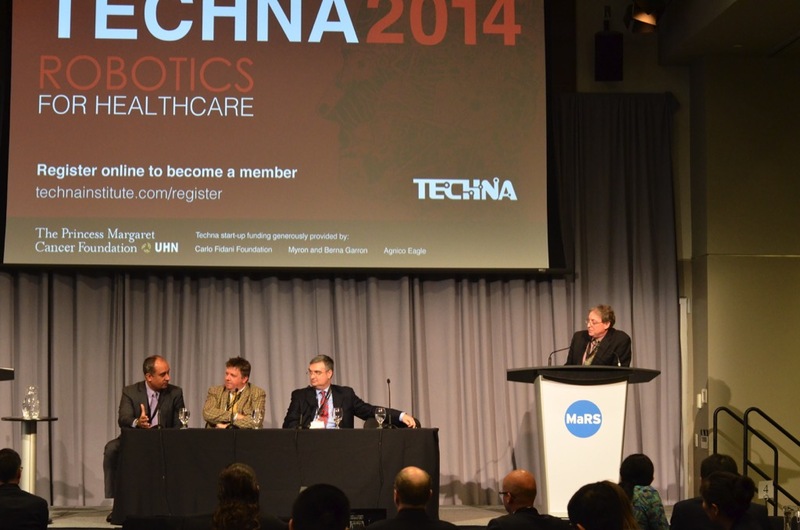 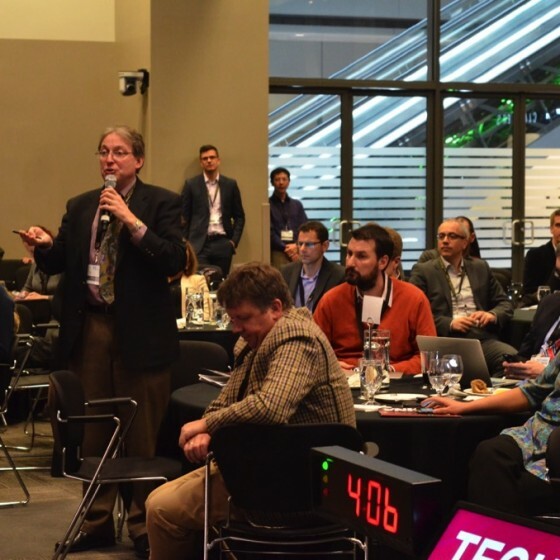 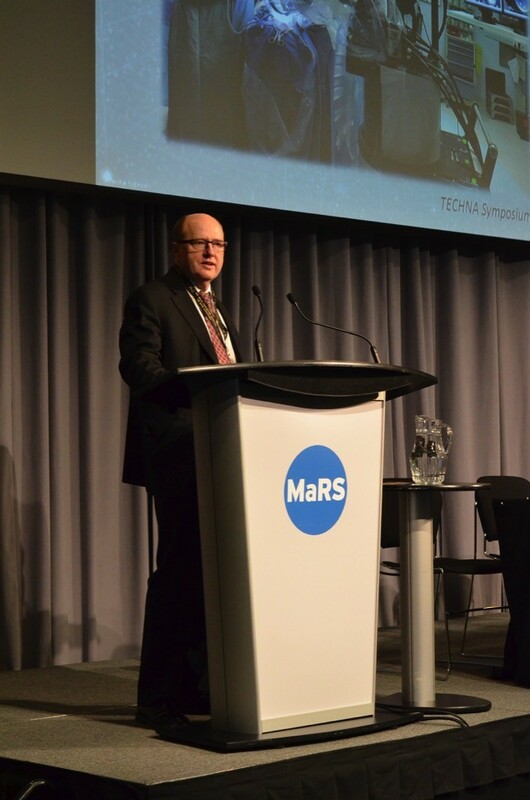 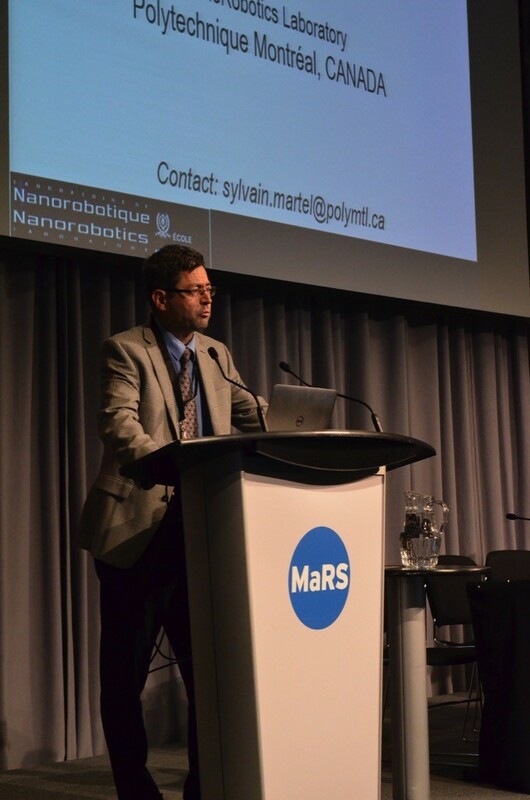 The Techna 2014 symposium brought together an impressive ensemble of speakers and commentators from many fields of robotics and health care in the hopes of promoting this collaboration, and creating lasting partnerships that will serve to improve innovation and adoption going forward. 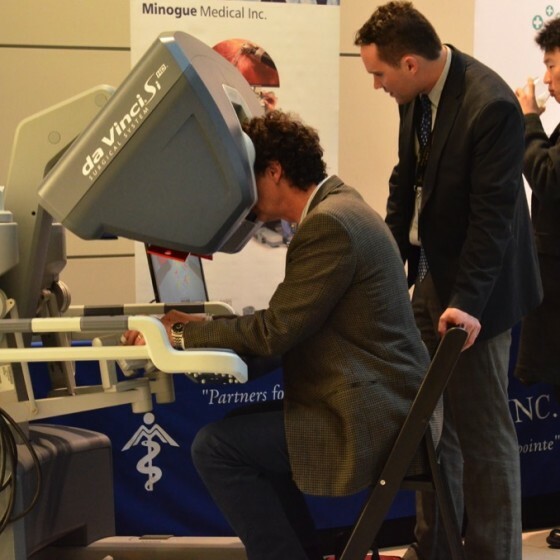 While each individual dedicates their time and expertise to different sectors of robotic technology, the prevailing theme was that innovation and collaboration are integral to the success of advancements in robotic healthcare. 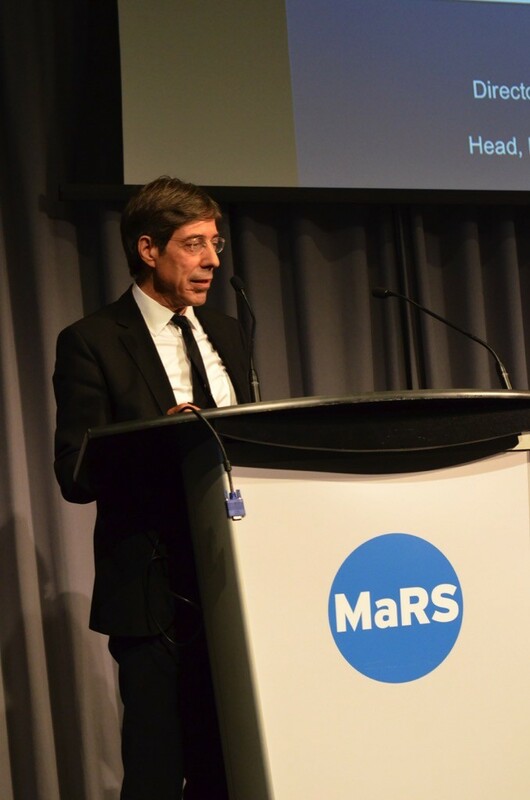 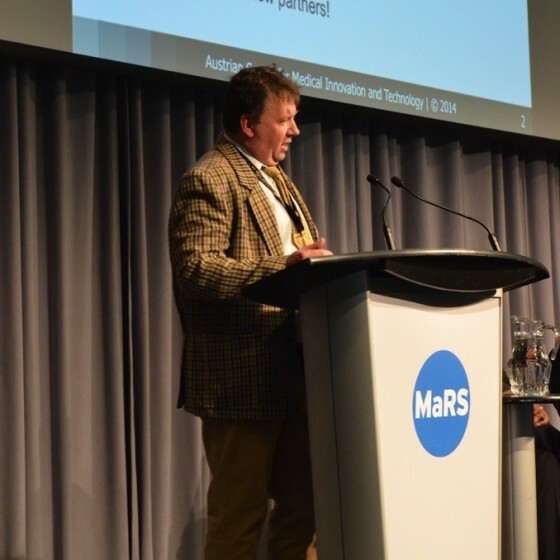 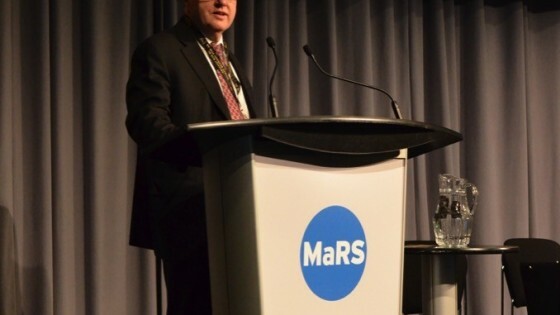 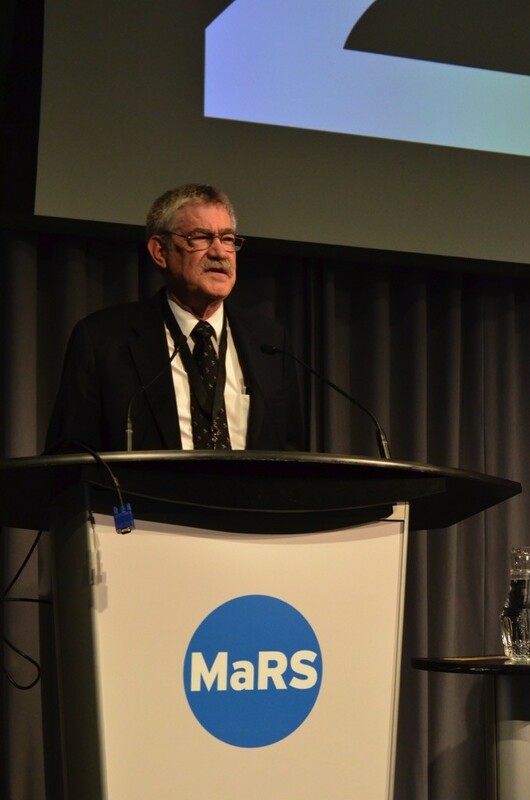 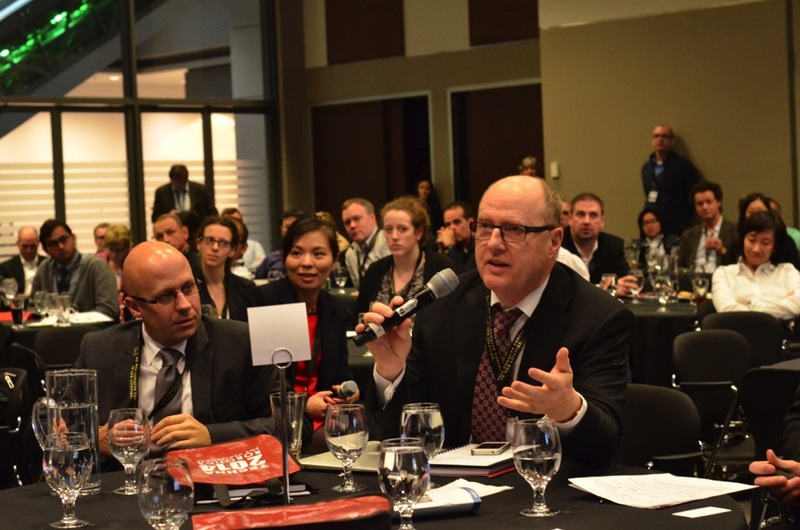 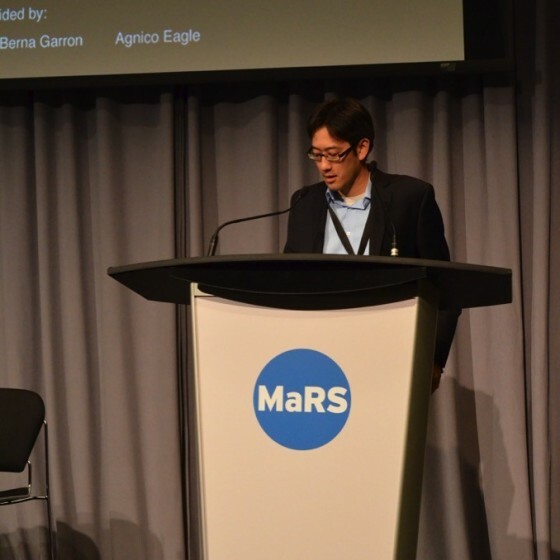 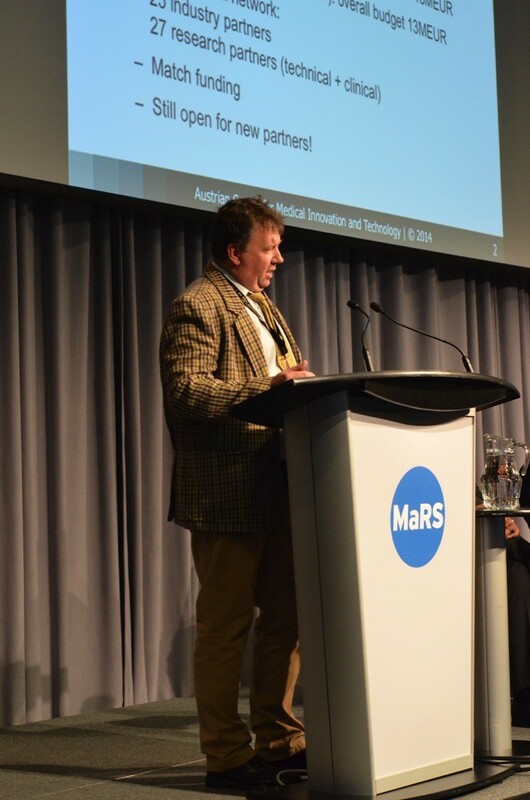 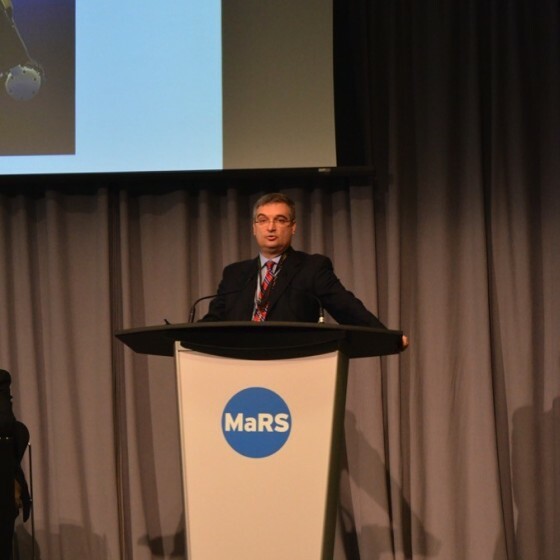 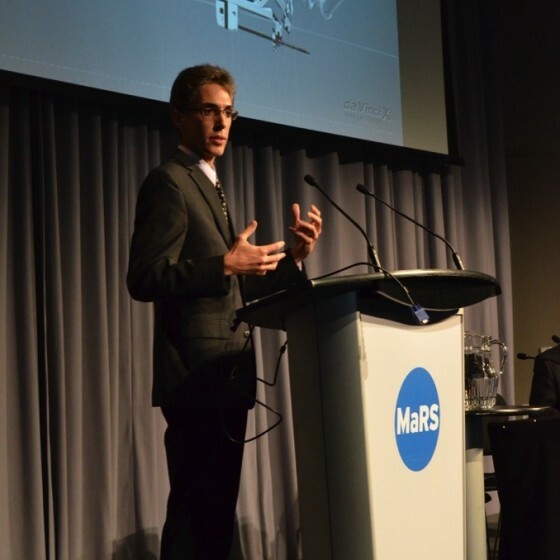 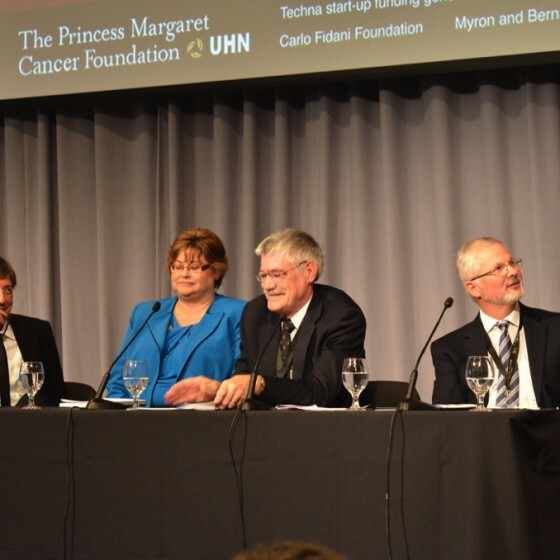 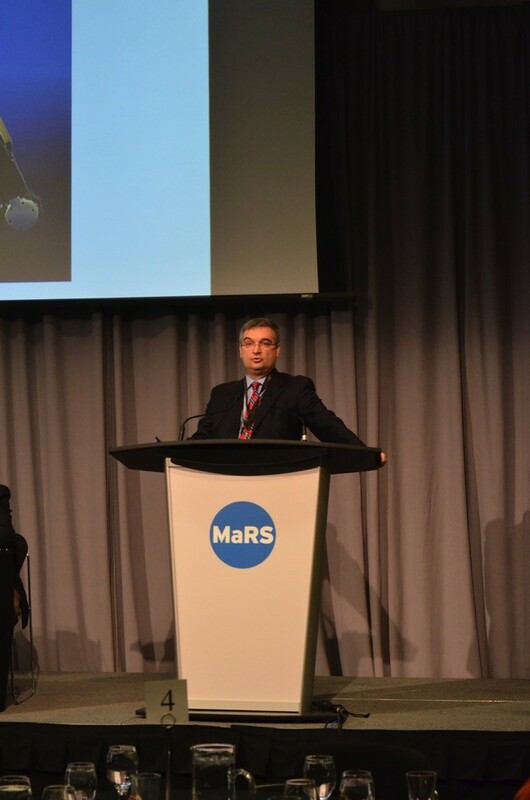 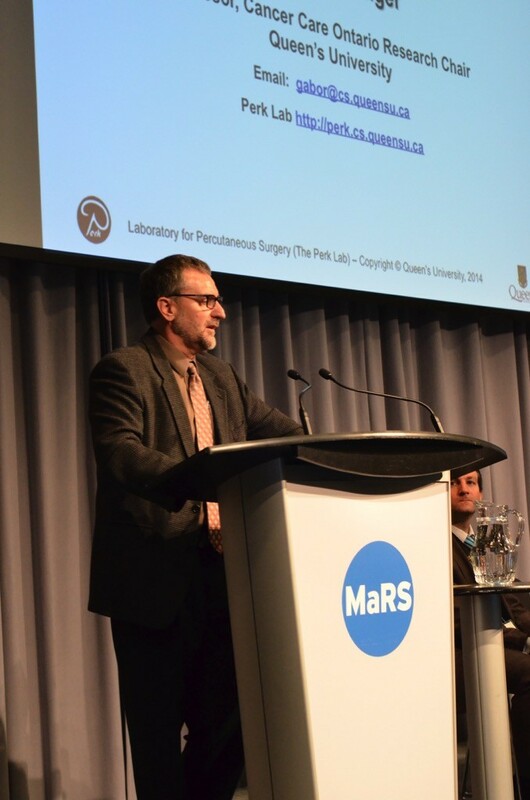 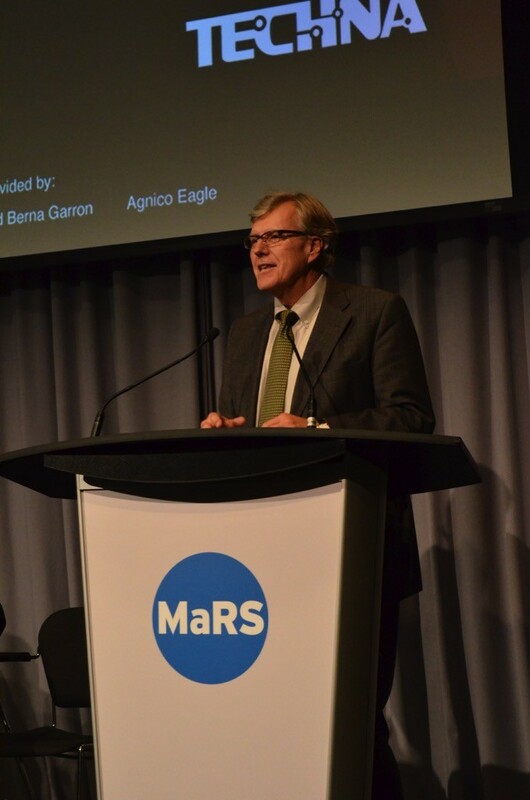 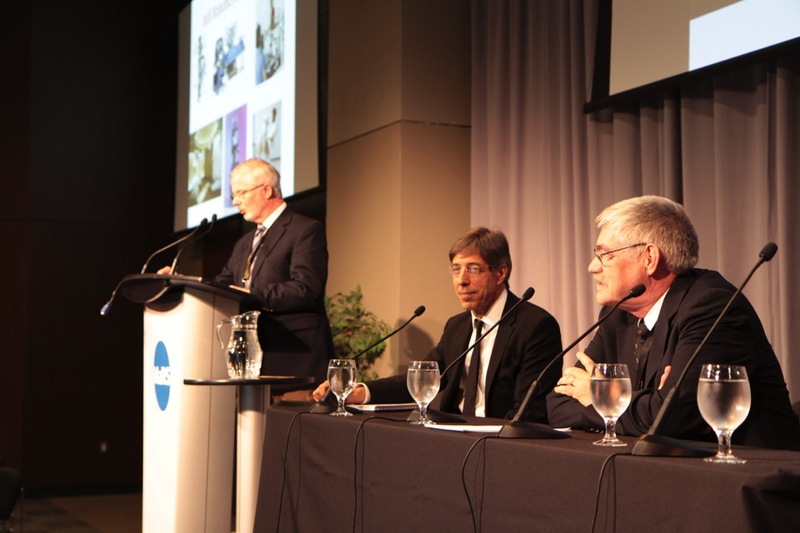 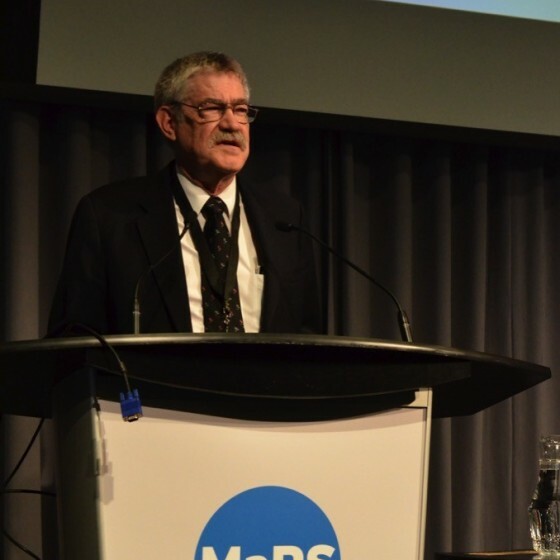 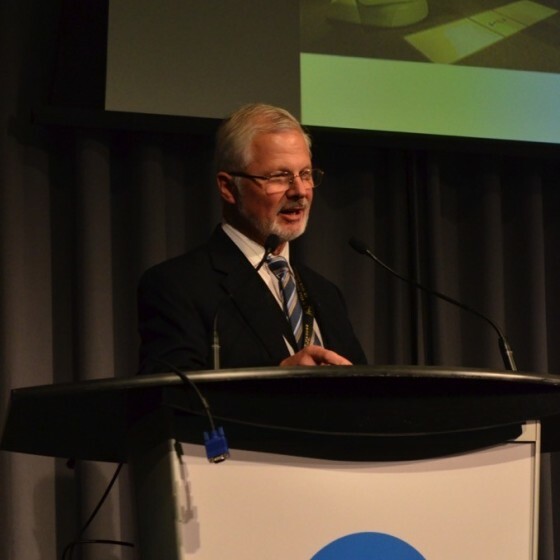 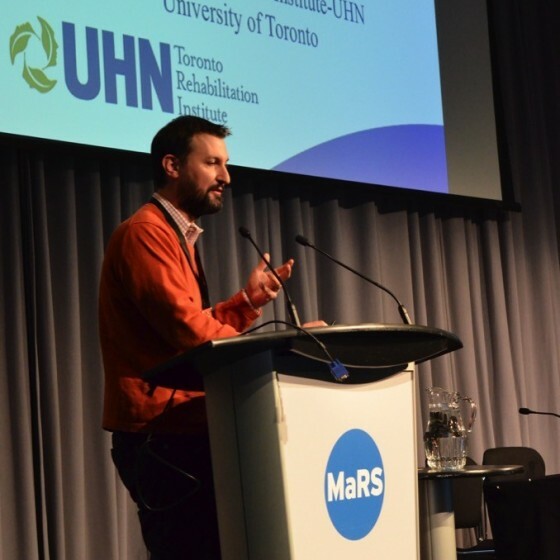 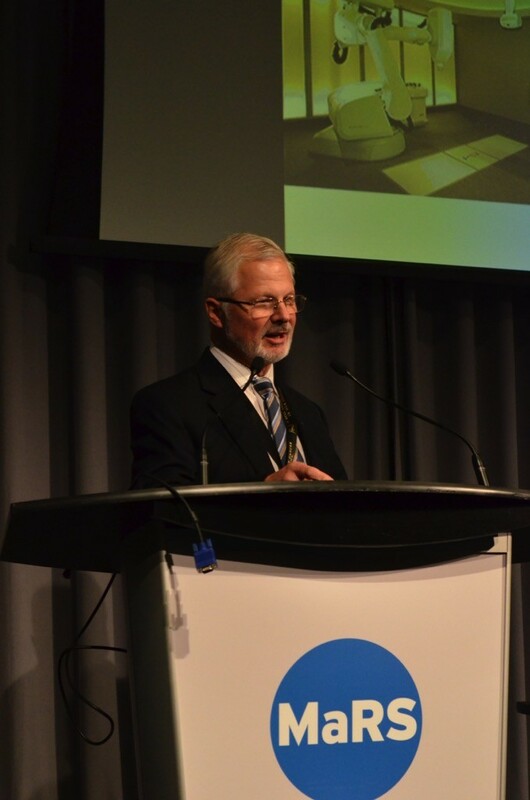 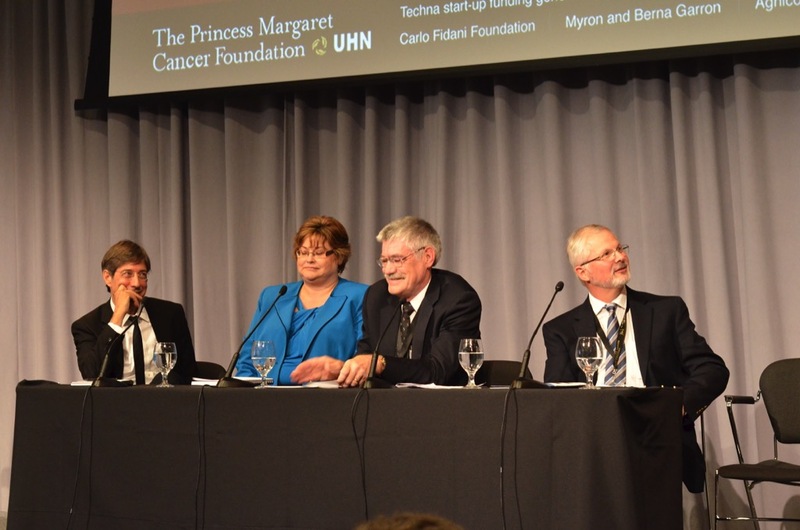 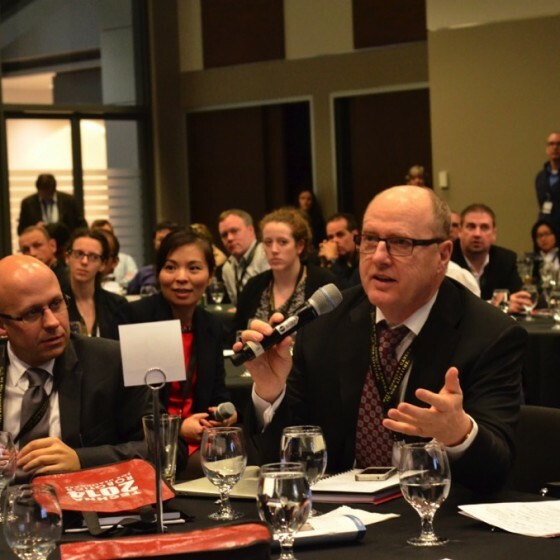 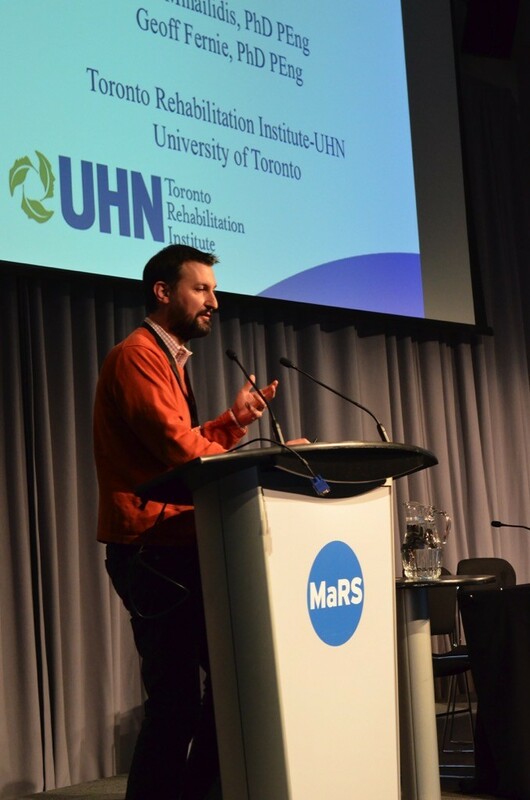 The formal session ended with a debate between UHN’s own Dr. Gary Rodin and Johns Hopkins’ Dr. Russell Taylor, in which they discussed whether robotics will ultimately save medicine. 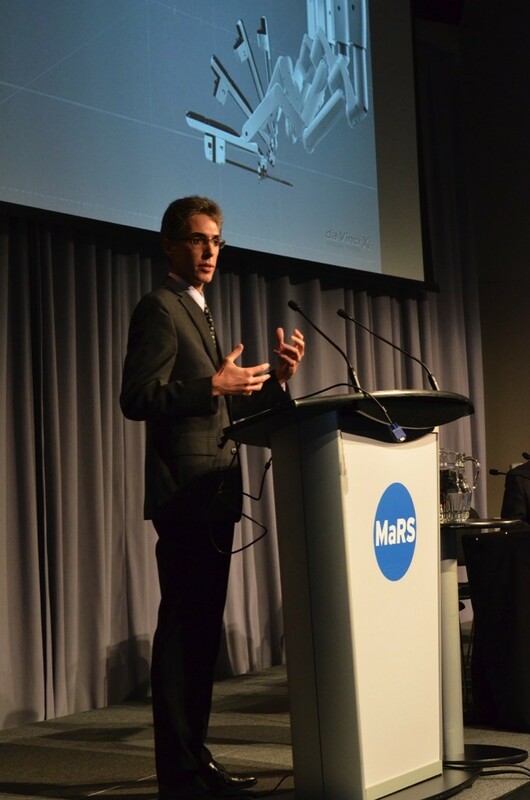 The overall consensus was that when partnered with human factors, robotics can and will have a profound effect on patient care in the future. 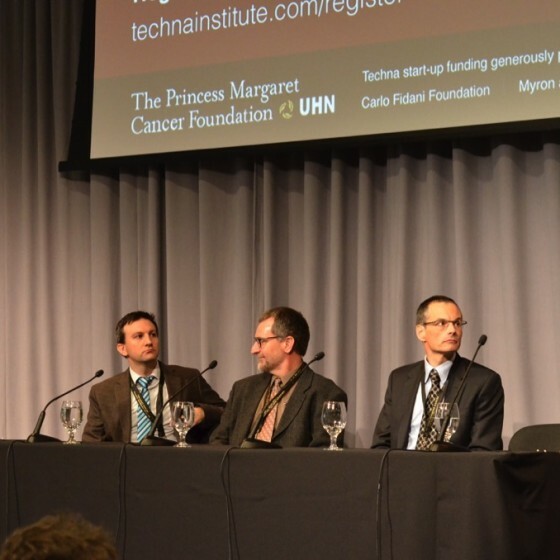 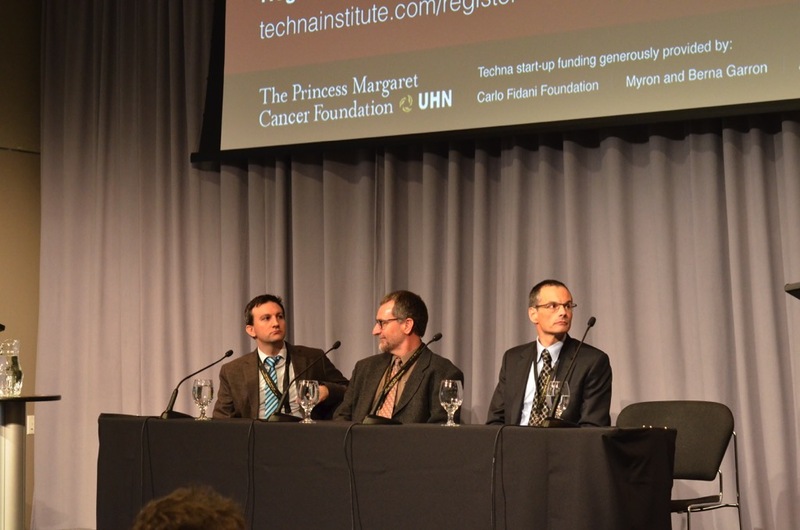 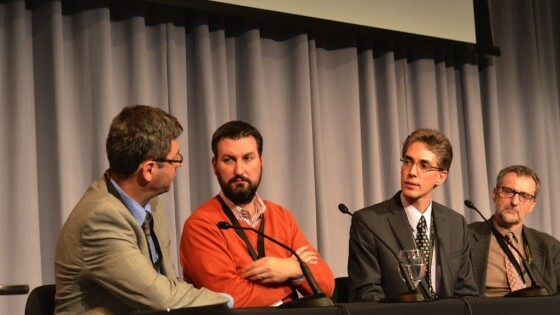 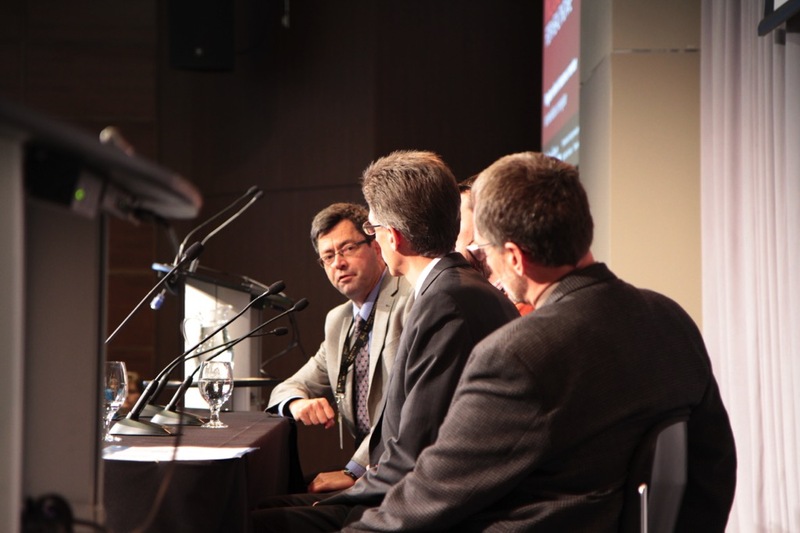 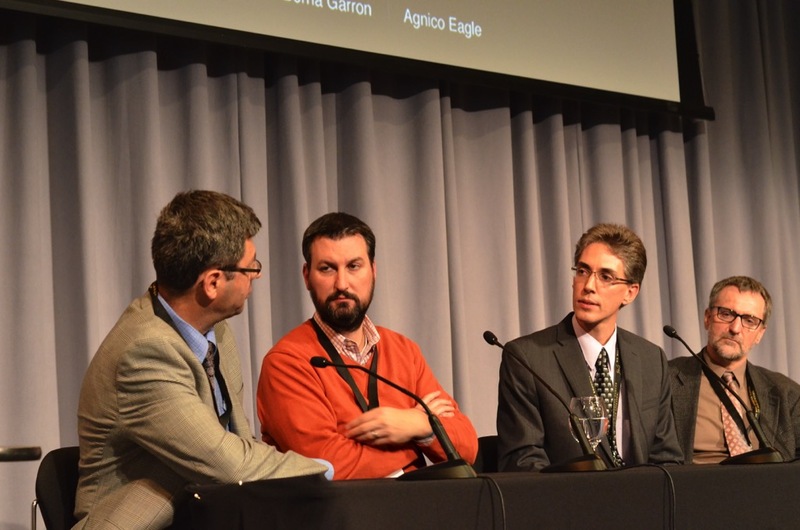 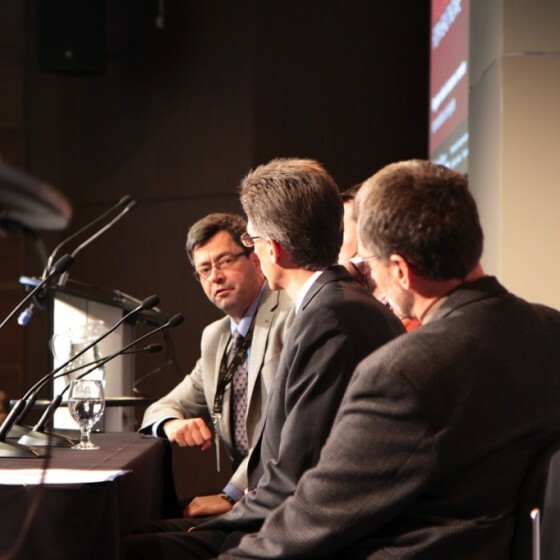 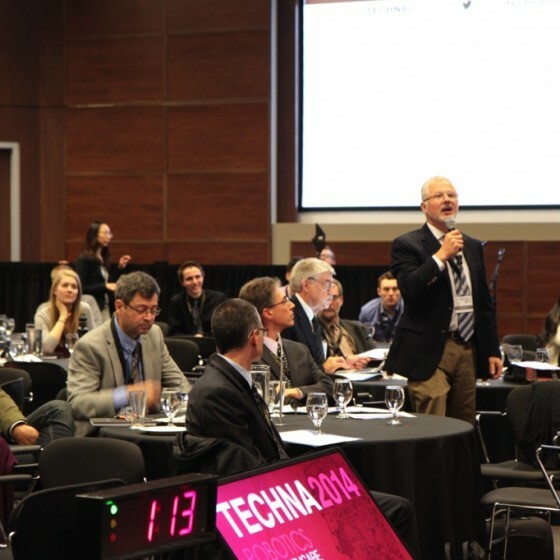 You can watch this exciting debate on the Techna Symposium website. 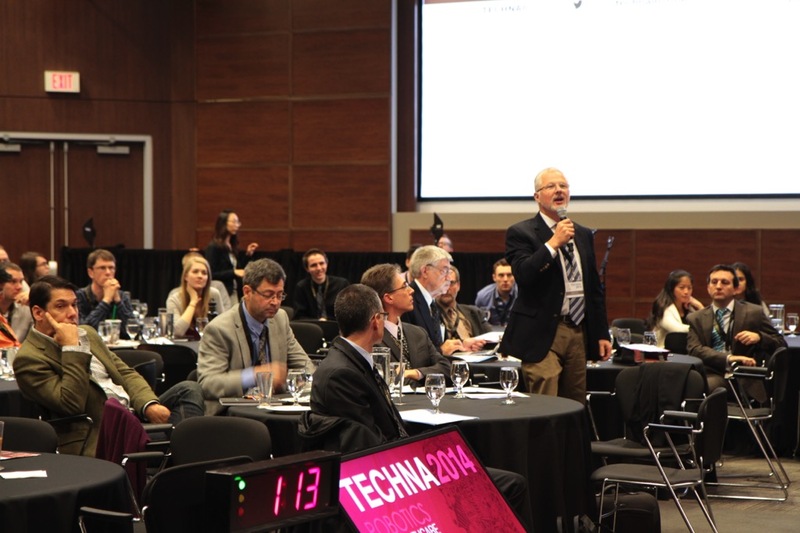 In keeping with the technological theme of the day, organizers at Techna set up a live comment feed that allowed attendees to text or tweet questions, comments, or opinions in real-time to appear on the large screen in the auditorium. 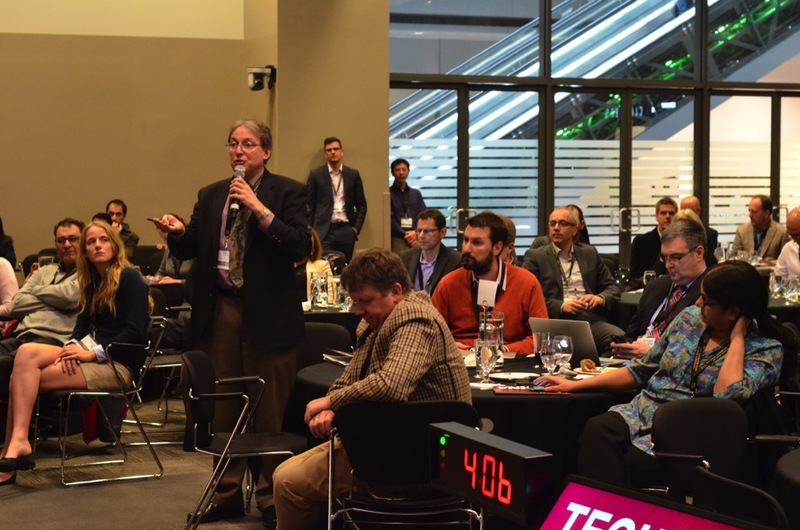 This feature helped cultivate the excellent discussion and emphasized the connection between human input and technological advancements. 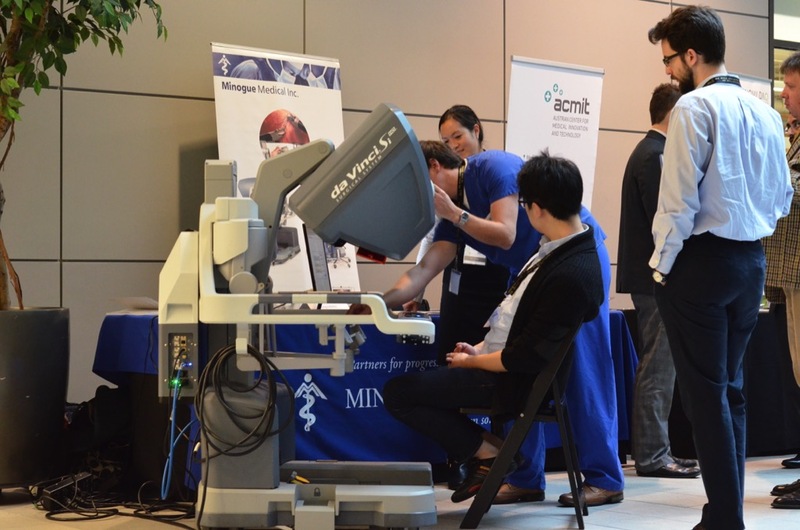 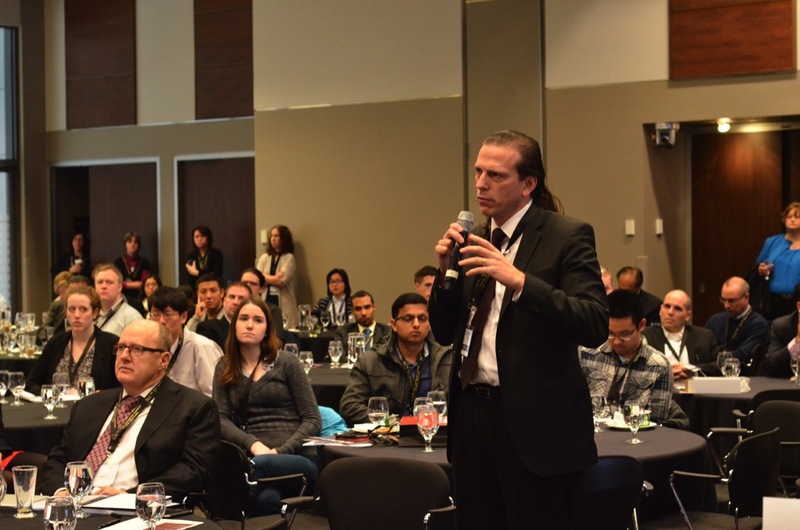 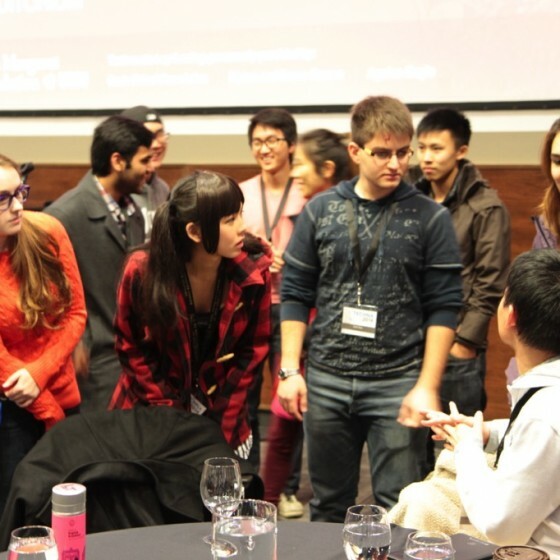 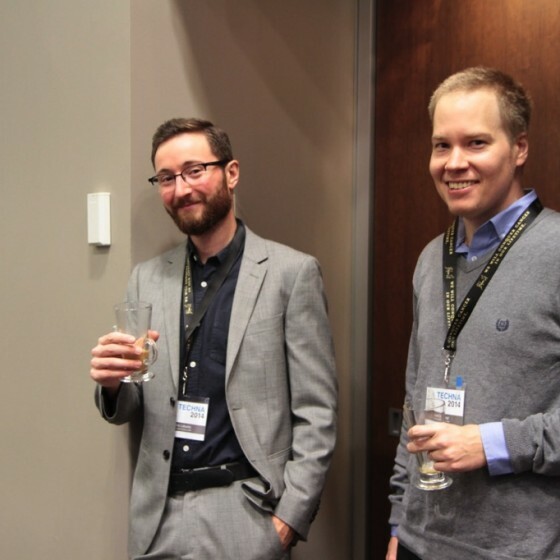 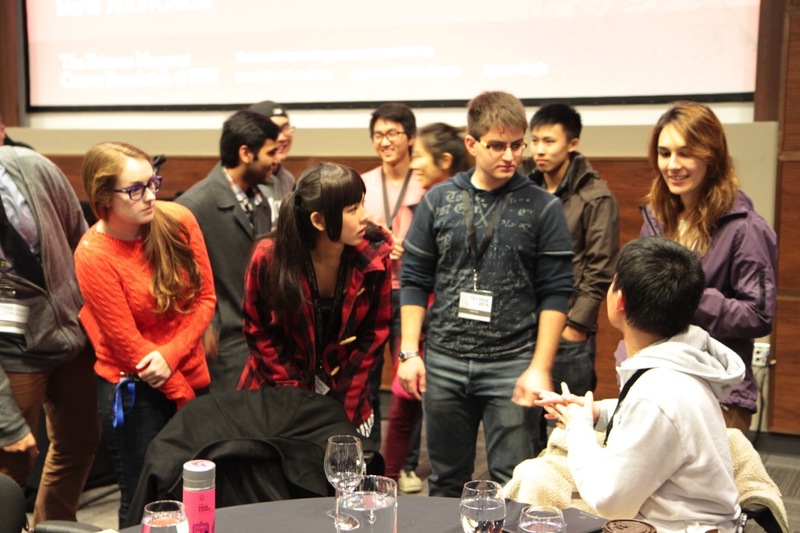 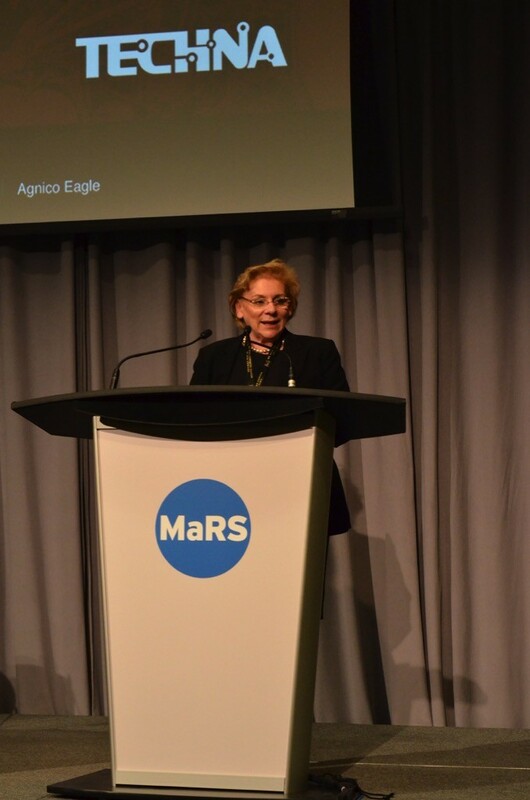 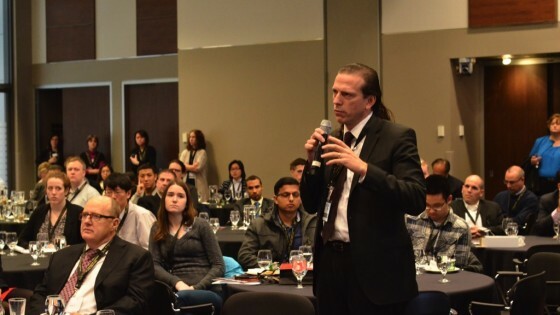 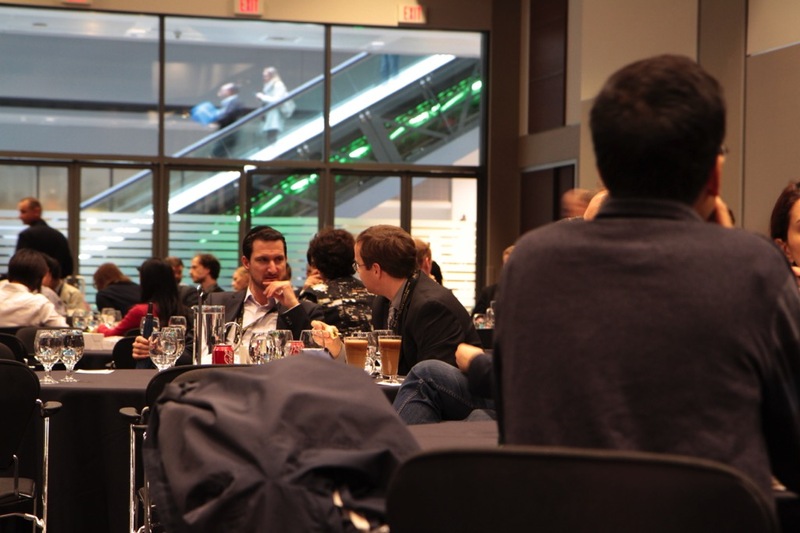 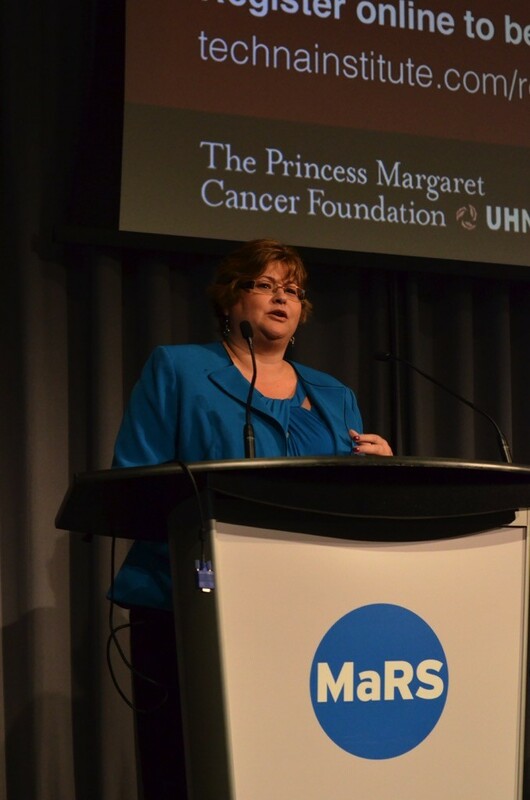 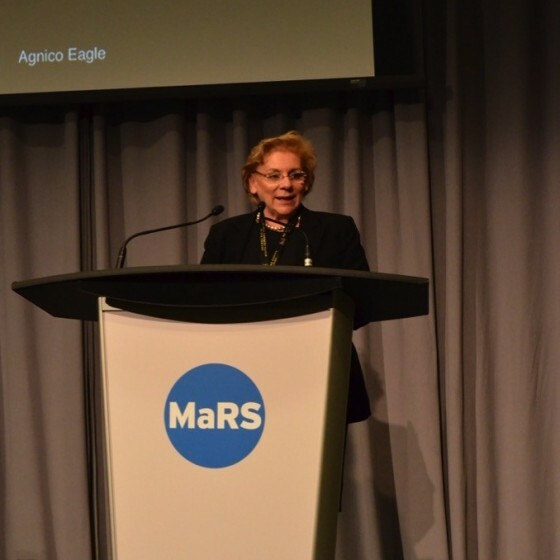 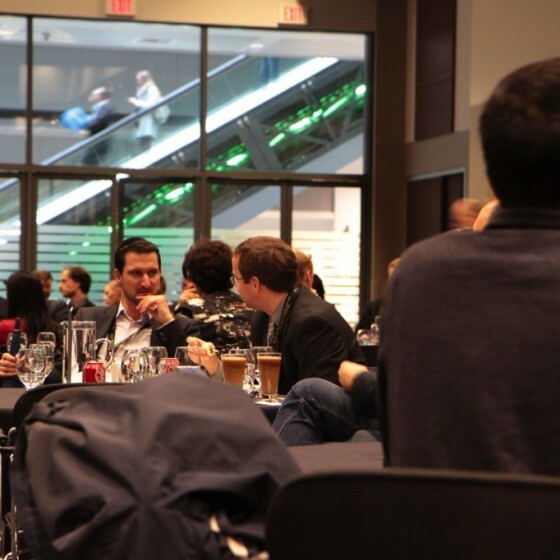 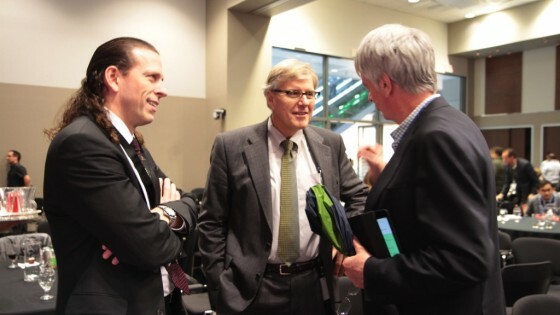 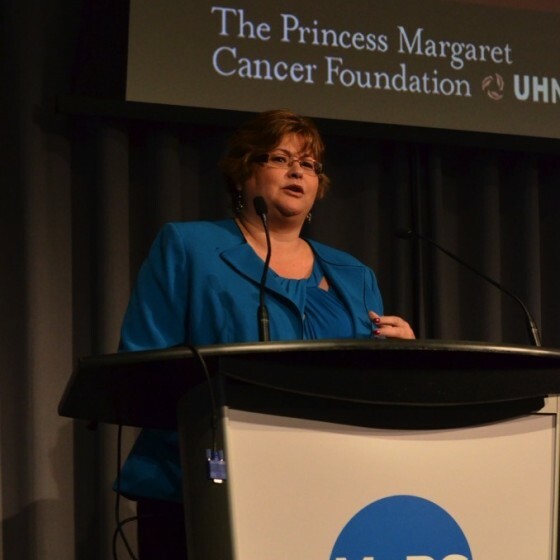 To underscore the importance of collaboration and future research, the day culminated in a networking session that brought together members of industry, clinicians, and researchers with students and trainees. 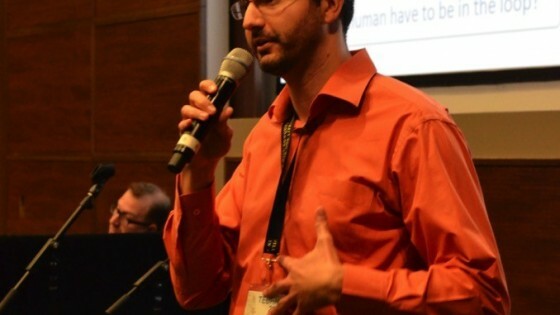 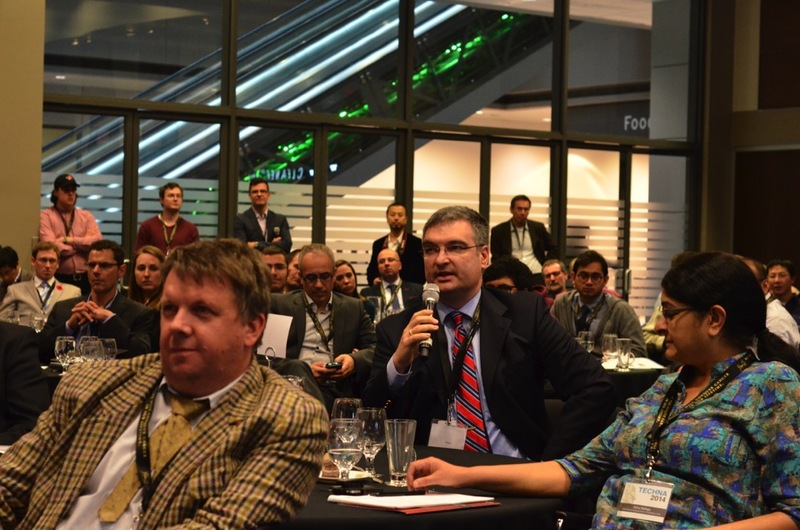 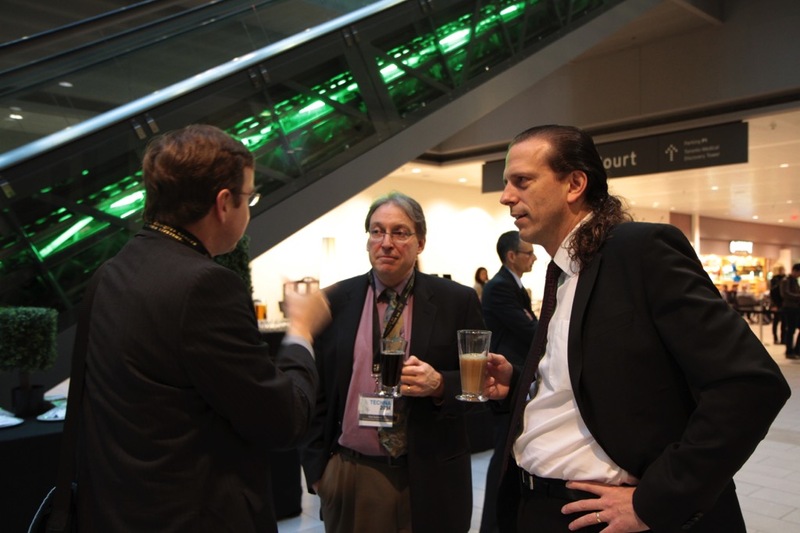 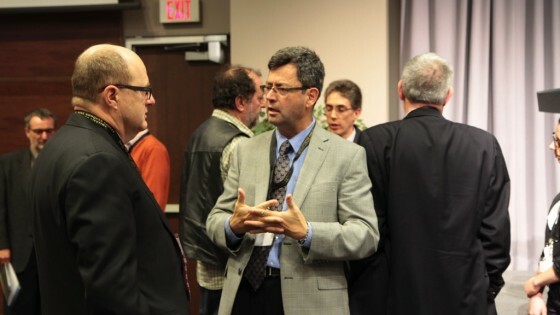 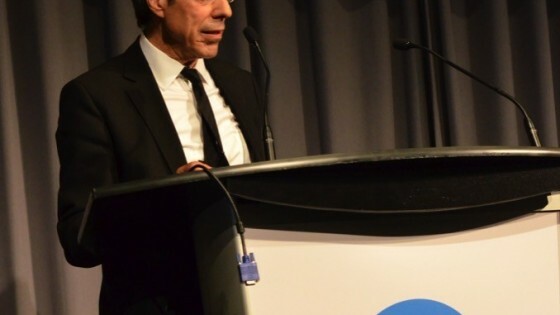 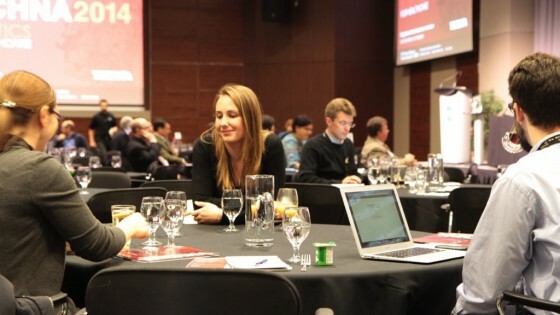 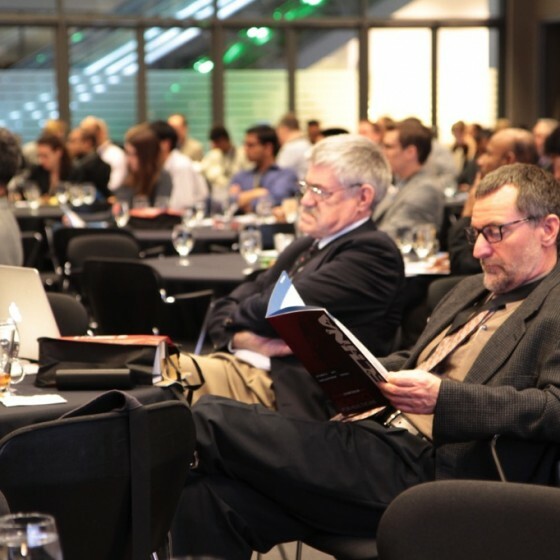 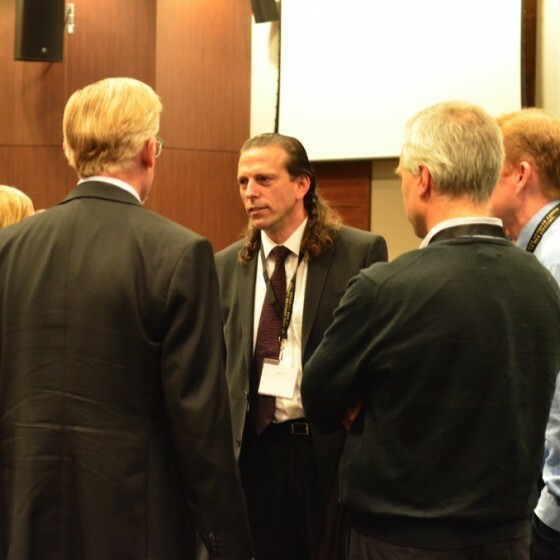 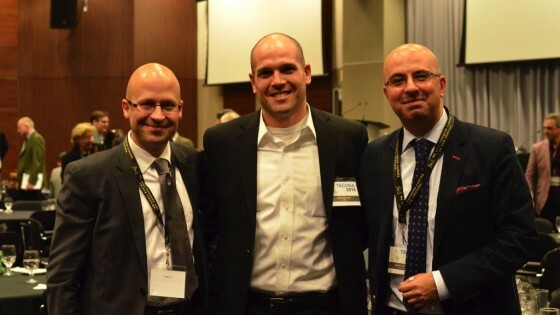 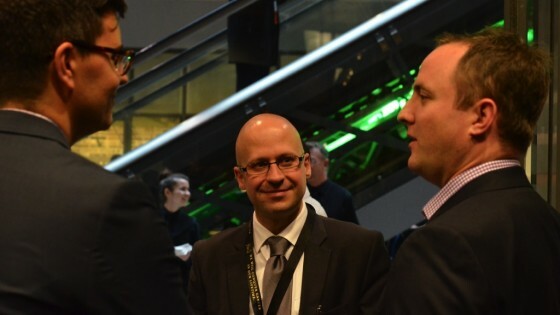 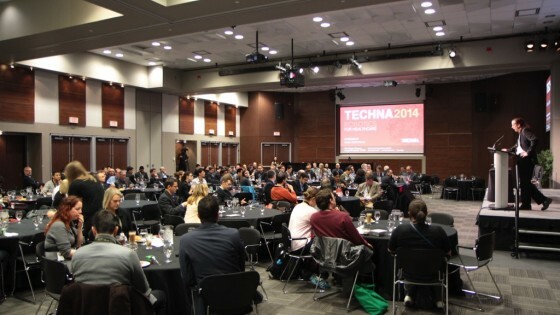 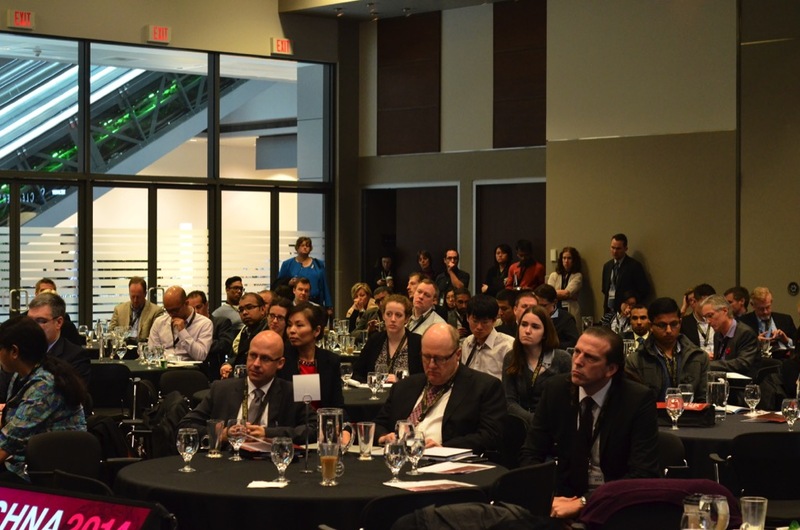 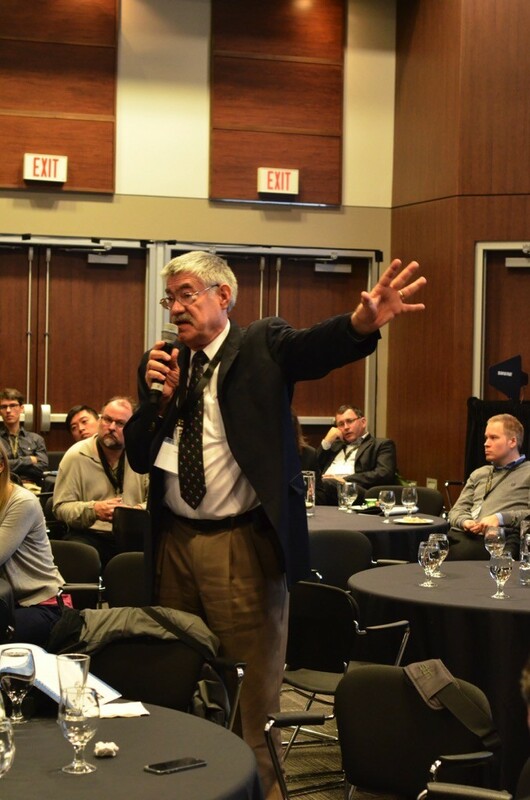 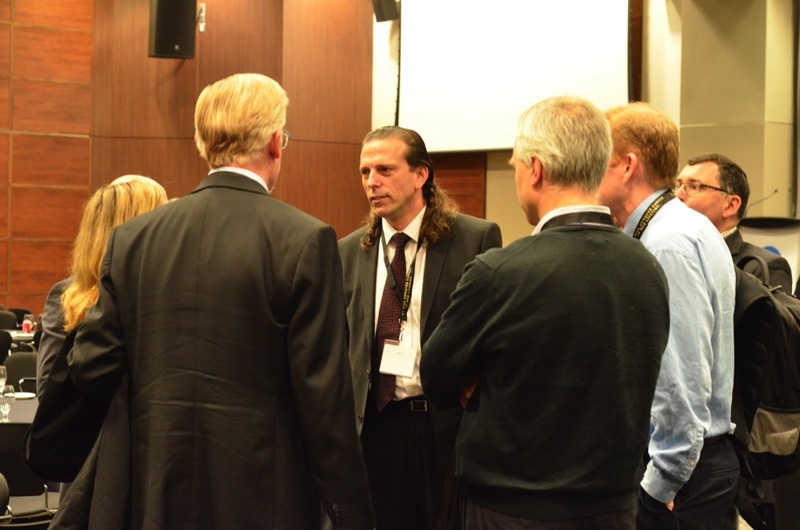 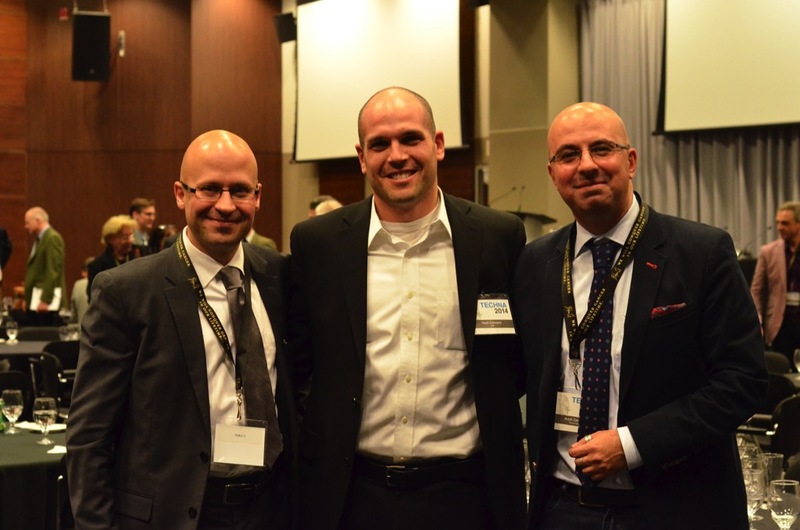 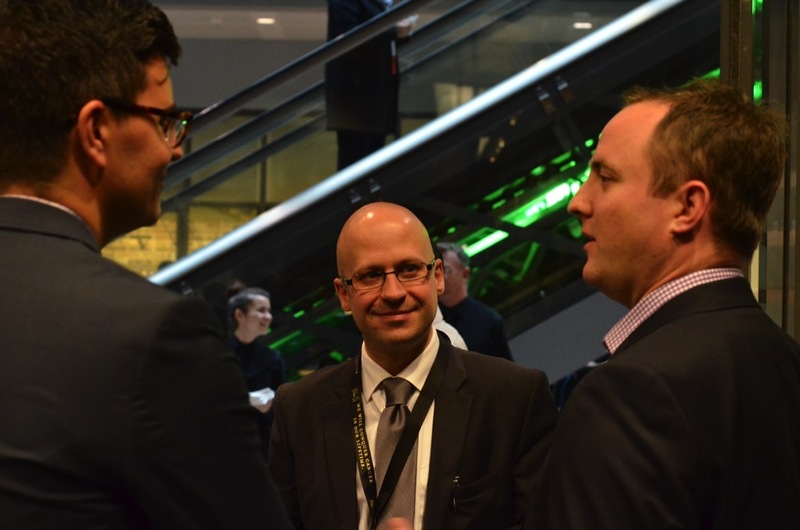 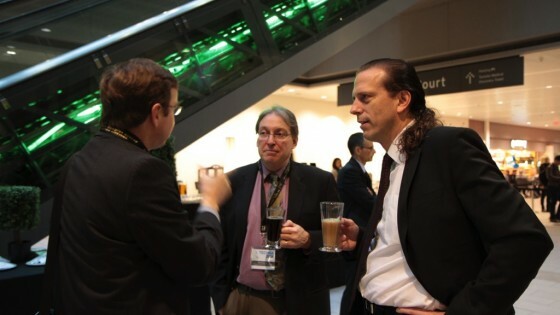 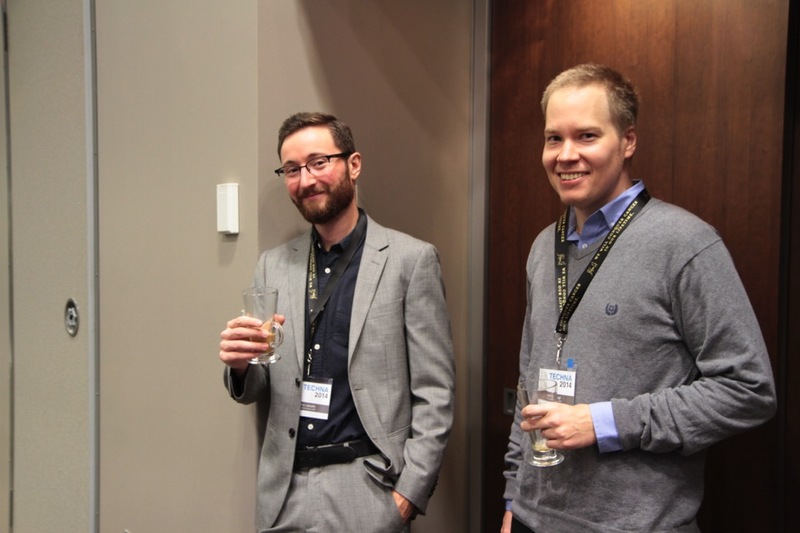 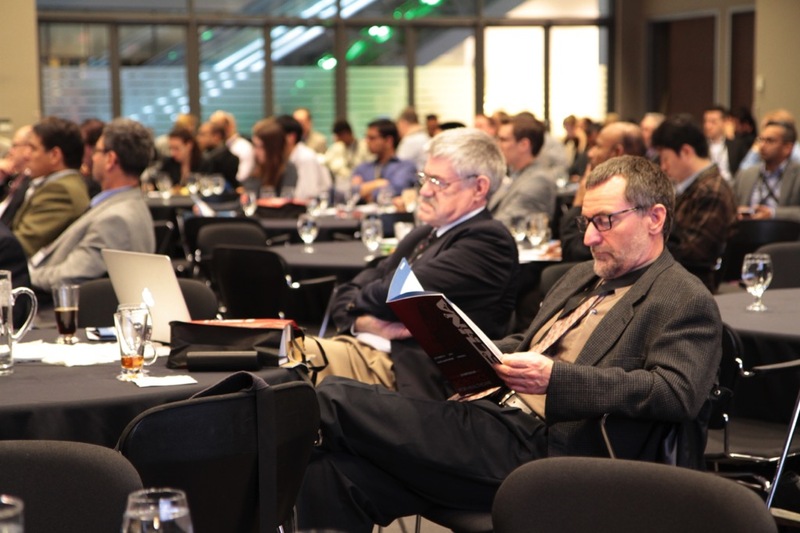 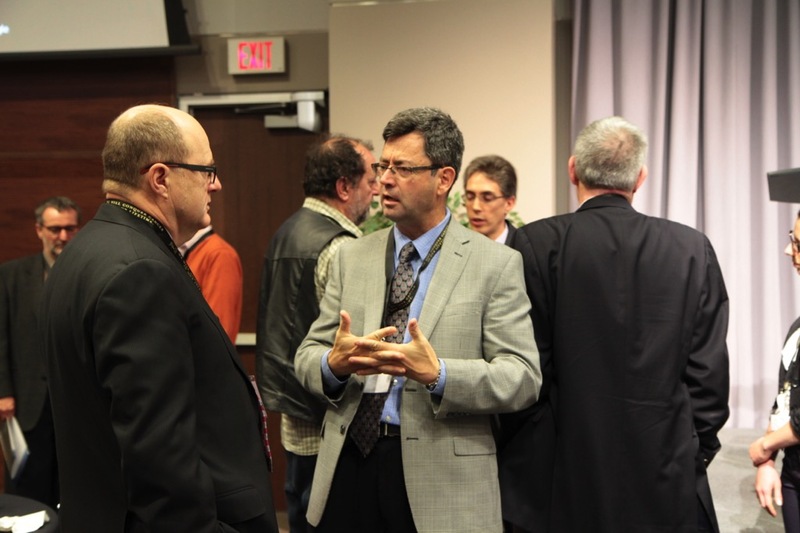 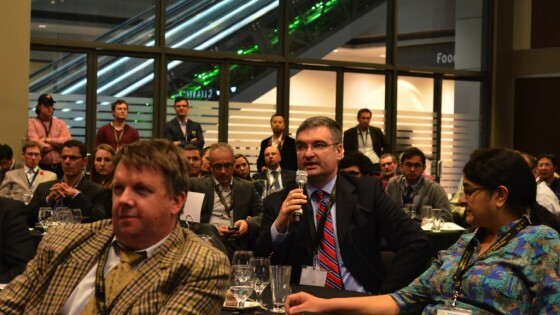 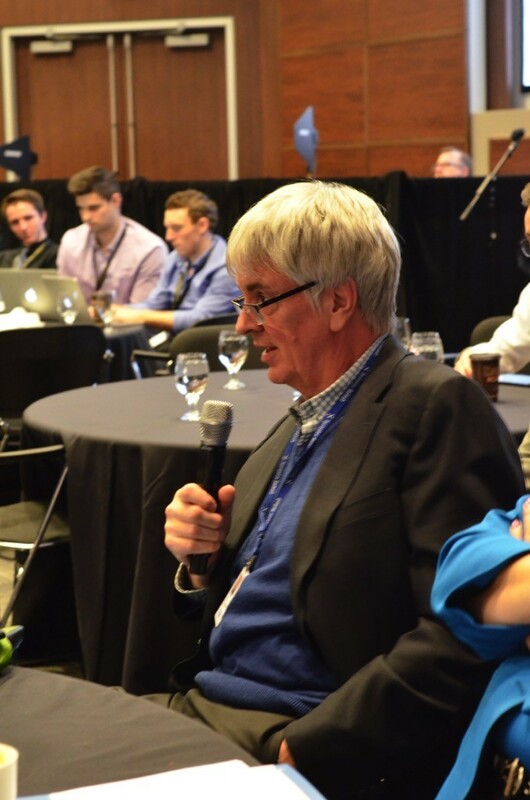 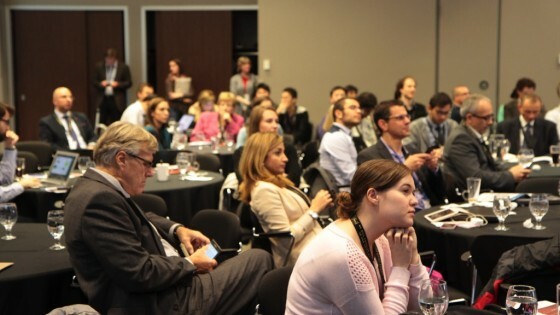 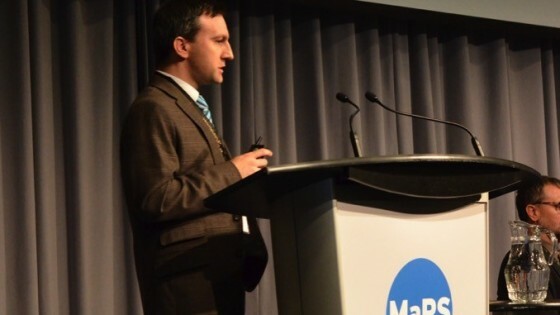 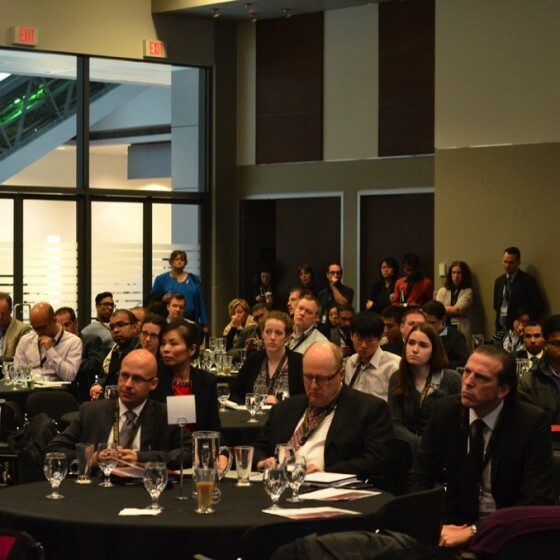 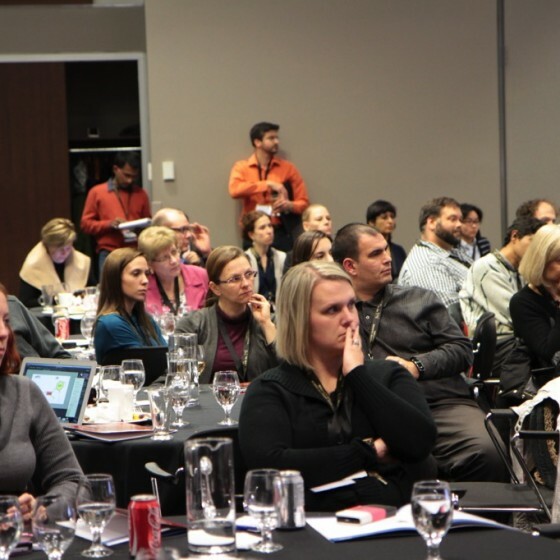 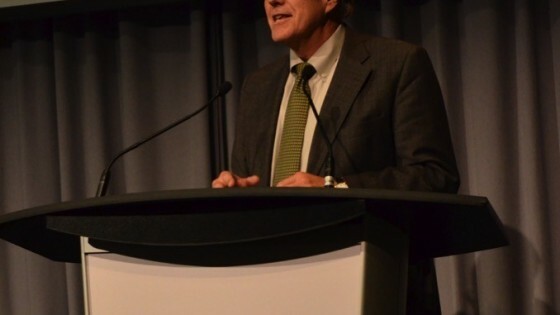 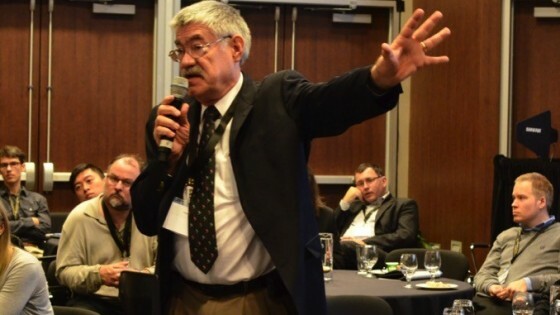 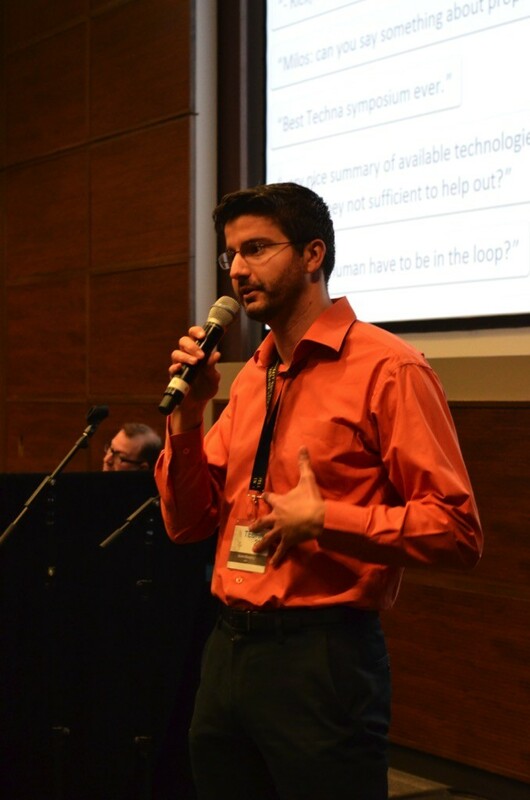 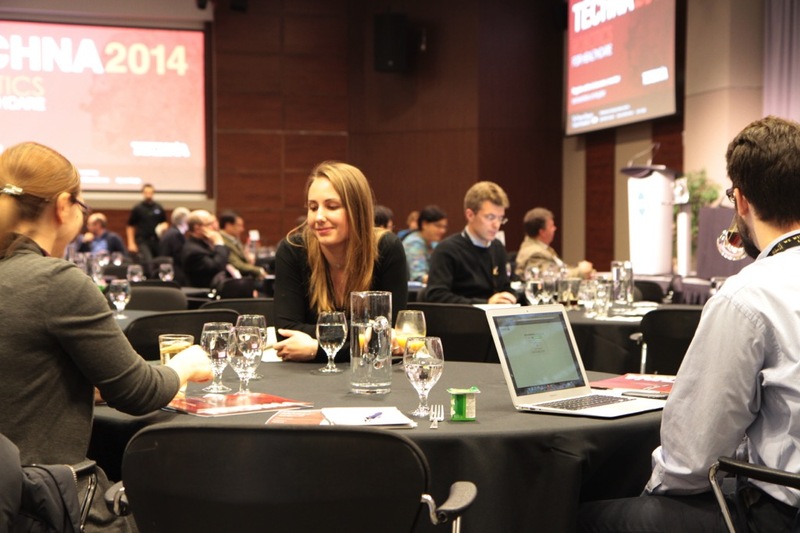 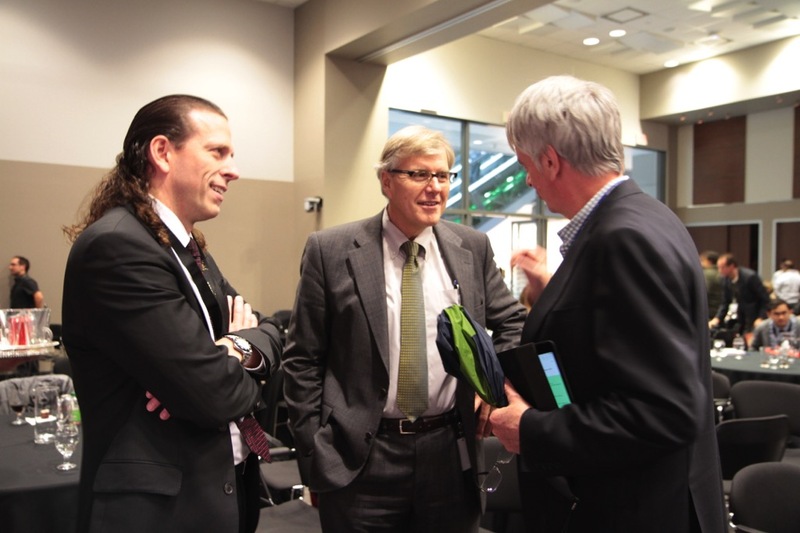 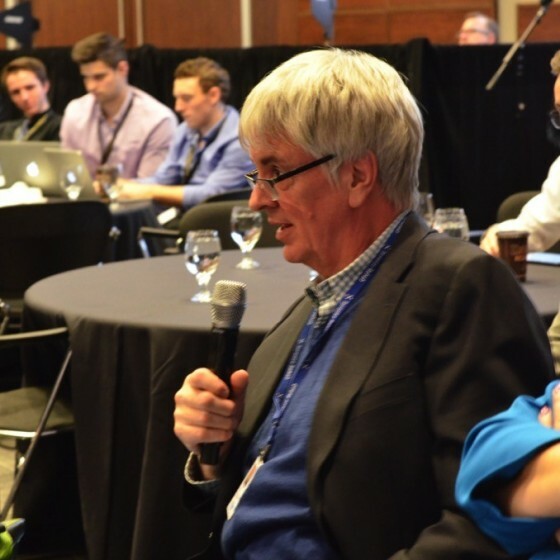 Overall, the Techna 2014 Symposium was an undisputed success. 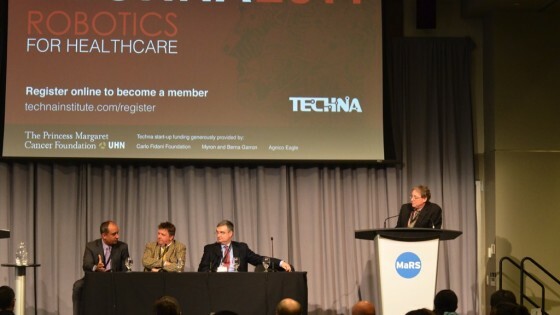 Those who attended left with a greater understanding of the current state of robotics in health care, as well as a preview of the innovations that are coming in the future. 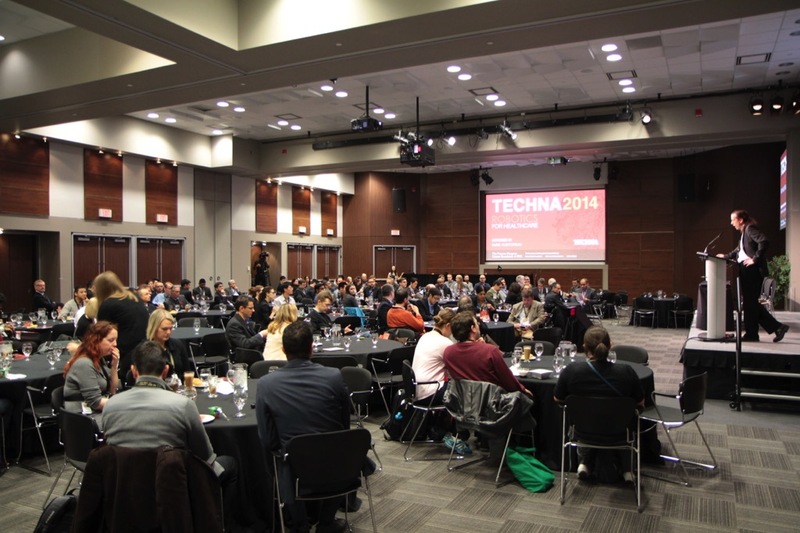 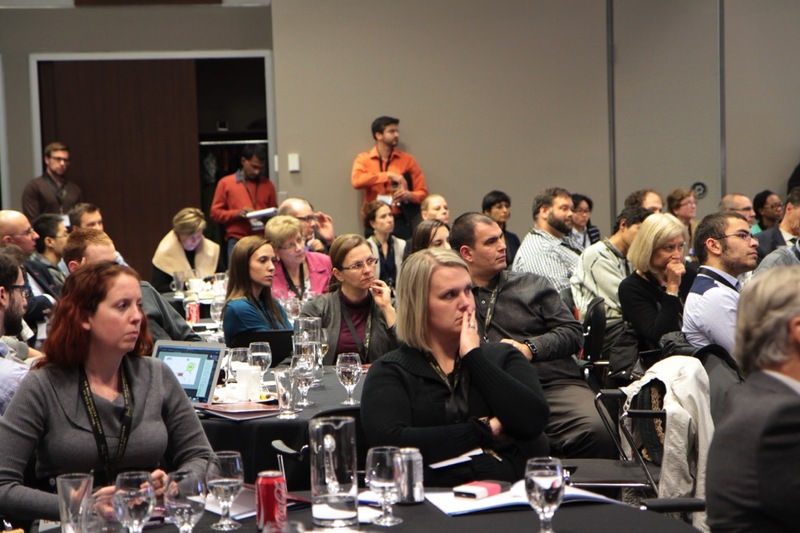 Videos of the presentations can be viewed from the Techna Symposium website.